We’ve got some fantastic deals this Spring, with some of our holiday cottages offering up to a 20% discount! Many consider that Spring is the ideal time to visit Scotland and we couldn’t agree more. Check out our special offers for more details. January and February were busy months in the office with many properties filling up for the summer season. Don’t leave things to the last minute because we generally have very little late availability in peak season. February saw 2 new exceptional properties join our growing portfolio of high-quality Scottish holiday cottage accommodation. 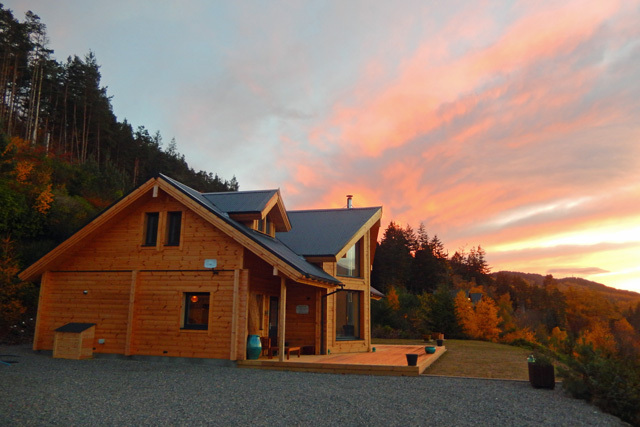 A wonderful new build with superb views, Log Ness is a luxurious log cabin that can accommodate 6 over two floors. Of Finnish design, the property is furnished to a high standard and very well equipped. WiFi is available, as is a Smart TV, DVD player and iPod dock. Pets are welcome. The south side of Loch Ness is a truly beautiful area and for those that wish to explore further north this would make an ideal base. You don’t need to travel though, there are plenty of great walks to be had around Foyers, or you can just sit back and soak in the views. Our next new property is on the ever-popular Isle of Skye. 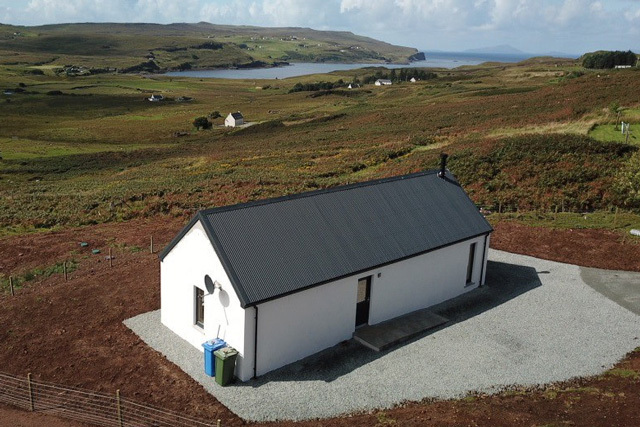 Another new build, but of a completely different character, The Byre is the perfect retreat for a couple who wish to explore the north of Skye. This property has every amenity that you would expect form a high-quality holiday cottage. WiFi, wood burning stove, Smart TV, and dishwasher are all available. Of single-story design and furnished in a contemporary and comfortable style, The Byre has incredible views across to Loch Pooltiel and the surrounding hills. We’re sure it’ll become a favourite with our guests. Skye is a popular island, but Glendale makes for a relaxing holiday destination. It’s quiet, yet not too remote from the many attractions that the island has to offer.